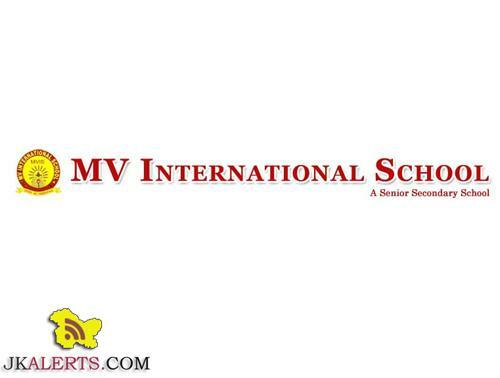 MV International School Jobs Recruitment 2018. School recently published the official jobs notification for various Teaching and Non-Teaching Jobs posts jobs. All the Interested candidates may send their Application forms should reach this MV International School by 16th August 2018. positively duly completed in all respects along with following documents, duly attested. Jkalerts will provide you the complete detail about this J&K Private job notification like Eligibility criteria, How to apply Online, Important dates, Age limit with relaxation, post by category, Selection process & official notification. 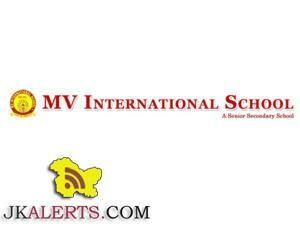 So interested candidates are requested to read it carefully to apply for MV International School Jammu jobs. a. Candidates with 3 years experience in CBSE School will be preferred. b. Only shortlisted candidates will be called for interview. Submit your resume to [email protected] or the school address. Last date for submission of resume: Thursday, 16th August 2018. (Affiliated to CBSE, New Delhi) 17 Miles, Vijaypur, Thandi Khui, Samba. For MV International School Upcoming jobs notifications. Free Job Alerts and Updates for both Fresher and Experienced Candidates. Keep Visiting Jkalerts.